There's a general rule of thumb in franchising: If a company didn't exist five years ago but now has hundreds of locations open, run in the opposite direction. Why? Because companies that expand so rapidly are often more interested in making a quick buck for their executives than in building a solid system for their franchisees. But as you'll discover with the examples here, there are exceptions to every rule. Some concepts are able to come out of the gate quickly, grow steadily and still offer their franchisees gold-star support. We took a look at some of the fastest-growing young franchises from the past few years to learn their secrets to success. Before Brian Pappas took on the CEO position of St. Augustine, Fla.-based Bricks 4 Kidz, a franchise that runs Lego-engineering classes and camps for children, he did his due diligence, looking at a similar concept in California that had been in business for 10 years. That gave him the confidence that Bricks 4 Kidz, founded by Michelle Cote, could be a long-term business, not just a franchise fad. "Plus, I was intrigued by Michelle," he says. "Even during the worst part of the recession, she was running sold-out classes and camps. I thought, if she can do OK business even during the Great Recession, this is a concept that can be franchised." But Pappas also realized that he and Cote had to hustle to make it work. Because the business requires little upfront investment and is simple to set up, a slow rollout would mean that competitors would have time to set up their own franchise systems, and mom-and-pops could set up their own Lego camps. "We said, 'Let's get out there before someone recognizes that this is an easy business to clone.' It's a big advantage to be the first franchise to the market," Pappas explains. "We also said, 'Let's be bigger and better and have a massive curriculum, so once the competition does come on the scene, it will be easier for our owners to compete against them.'" 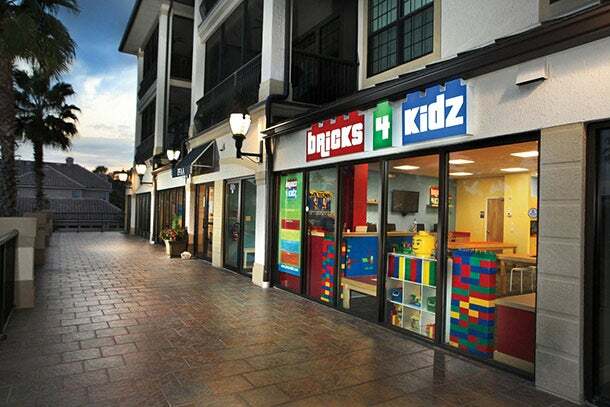 In that first year, Bricks 4 Kidz sold five units. That figure jumped to 30 in 2010, doubled to 60 in 2011, and the company now has 600 units in 32 countries. The franchise is expanding at a rate of 10 to 20 units per month, and Pappas believes it will have 800 to 1,000 franchises in the U.S. and Canada in the next three years and 2,000 to 4,000 worldwide within five years. One of the advantages of the system's size is that Bricks 4 Kidz is able to use national marketing. "We're at a point now where we're generating a lot of revenue for our marketing fund. Franchisees pay 2 percent, but that gets them huge national exposure," he says. "We advertise in children's magazines and in Working Mother, Parenting and airline magazines. Our smaller competitors can't do that. Our size has given us a critical mass that has made inroads into marketing we couldn't otherwise access." While Bricks 4 Kidz is reaping the rewards of rapid growth, Pappas claims the company's commitment to supporting its franchisees remains steadfast. "We recognized from the beginning that support was going to be critical. There's no way to grow without a great support system," Pappas says. That's why he tapped Dan O'Donnell, a 15-year industry veteran who had worked in a children's educational franchise, to serve as COO. "He brought a wealth of knowledge to our company," Pappas states. "You can't just sell a franchise, then let the franchisee loose to do their own thing with no help. He directs a team of over 20 people. Once someone leaves our training, on day one our team is calling them up to start work on their checklists. We don't let the grass grow under their feet." P. Allan Young Jr., CEO of ShelfGenie, which designs and installs custom-built glide-out shelves and other organizing fixtures for homes and offices, credits much of his company's growth to a thorough review of prospective franchisees. Since the Atlanta-based company started franchising six years ago, it has grown to 160 units, more than halfway to the 300-unit goal set for North America. At the same time, Young remains extremely selective about his franchisees. "I've seen companies where the franchise development team are the superstars. They walk through the office and everyone gives them high-fives," Young says. "Then three to five years later, they wake up with a franchise hangover because they've sold to the wrong people or can't support them. That's difficult to deal with." Young believes ShelfGenie has been able to grow at a quick but measured pace because corporate has a strong relationship with each of its franchisees. "We're unique in that I've been able to handpick each of our franchisees since day one," he explains. "We don't sell franchises at all. Even if someone was going to pay a $1 million franchise fee to be part of our system, I wouldn't do it. There are times when I have not approved 50 percent of the people sent to our discovery days. It helps our stability not to be focused heavily on franchise sales." In fact, for the first five years ShelfGenie didn't focus on selling franchises. It outsourced that function to another company that would bring in the best candidates for Young and his team to meet with. That way, they were able to take an objective look at each prospect instead of getting emotionally attached to someone's story. It also insulated the company from developing an unsustainable "sales first" ideology. For Young, long-term success depends on a strong culture of support. "When someone starts a franchise system," he says, "they're usually good at one of two things: selling franchises or supporting franchises. When we were first starting out, I realized we had to focus on one. I chose support." Not only does ShelfGenie have a streamlined operations system, the company also offers 360-degree marketing for franchisees that includes all media buys, graphics and placement. It's also developed 3-D design software and iOS and Android apps so franchisees can communicate design ideas more closely with clients. "I like to think of franchises as cars," Young explains. "You know, a lot of people buy a car based on how it looks. I like to think of us like a small car, like a Kia or Prius--not a supercool car, but kind of neat. But what people are really buying is the engine. And we put a Ferrari engine in there. That's what our support system is." Tony Lamb also uses car metaphors when talking about his business. "I like to think of this company like rebuilding a '69 Camaro," explains the Florence, Ky.-based founder and CEO of shaved-ice franchise Kona Ice. "You look at it and think, this is really nice. But you have to get up to 60 on the interstate occasionally to see if the wheels come off. At the end of each year, we take a step back and look at our operations and ask if we've gotten too big, if the wheels have come off." So far, the answer has been a resounding no. 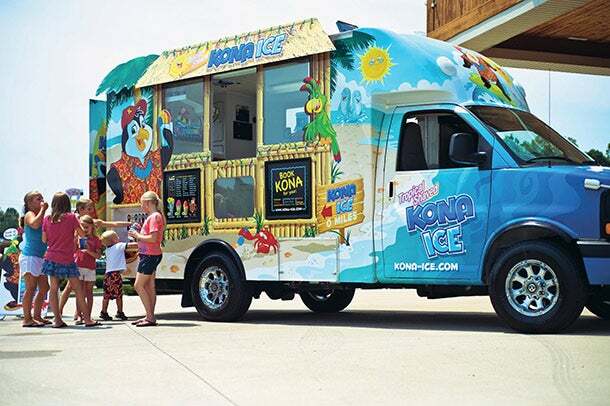 Since it began franchising in 2008, Kona Ice has sold 575 franchises, and Lamb expects to sell another 140 in 2015. From the get-go, Lamb has relied more on instinct than on conventional wisdom to build his business. "When I started, I didn't really know what to charge as a franchise fee. I don't look at it as good profit," he says. "People said, charge $15,000, and as your concept gets better, increase it." But Lamb has only increased the franchise fee once, and charges a $3,000 annual fixed royalty for each of his units, which is incredibly low. "I had guys tell me I wasn't going to make it because I wasn't charging enough," he says. "But what they don't realize is that I'm not selling franchises, I'm forming partnerships. I've turned the tables around, where I'm subject to my franchisees' approval, not the other way around. I hope to earn their respect and the privilege to sign them up again when their contract expires 10 years down the road." The most important way Lamb keeps tabs on the market and franchise operations is by running eight Kona Ice trucks himself. "Fifty percent of my heartache comes from operating those eight trucks," he says. "But I think it's important to keep a foot in day-to-day operations. My operations managers are not theory guys; they've had to run these trucks. I have the same problems as my franchisees. When the Fourth of July was so cold this year and it rained for four days, I could relate." That empathy, as well as what many franchisees see as the great royalty deal the company provides, led to Kona Ice being ranked first in franchisee satisfaction by both Franchise Business Review and Franchise Update. "You know, two outside organizations said our franchisee satisfaction was high. As long as that is in place, then our sustained growth can be whatever we need it to be," Lamb says. "That's my metric. If I didn't have incredible franchisee satisfaction, I would slow down and change some things." Rob and Renée Israel, founders of Doc Popcorn, which sells fresh-popped flavored popcorn in malls, stadiums and outdoor venues, say their concept has succeeded because they worked hard to get the unit economics right long before they started franchising in 2009. The Israels spent six years building their Boulder, Colo.-based business, rethinking and revising until they were confident that they'd worked out all the kinks. Today their system has nearly 100 franchisees onboard. "We tested our concept in multiple locations--in kiosks, in arenas. We tried popcorn carts, popcorn shops. We tried every business model we might potentially sell, tested it and learned from it," Rob says. "Because once you start franchising, you can't be moving and bending and changing your whole model. You have to spend the time until you get the unit economics right and not pretend. If you replicate a model and it's not right and you start taking franchisees' money, it will blow up on you." One thing the couple learned is that customers, especially in sports arenas, didn't respond to their emphasis on all-natural popcorn. "In many of our venues, indulgence matters," Rob says. "We had to have less emphasis on being the Whole Foods of popcorn vs. being delicious and fresh." A willingness to adapt has remained an integral part of the Israels' growth strategy for Doc Popcorn. "We work closely with franchisees in different areas or with different customer bases to see how the markets change," Rob says. "We put together a franchisee advisory board that is involved in our decisions. They do inevitably have insights you can't get sitting in the office." The Israels are also adamant that as franchisors, they need to give their franchisees realistic expectations about what they're getting into. "You just have to be very upfront about the cost of entry and the cost of goods, or your franchisees won't make money," Rob explains. "If your franchisees aren't making money, you're going to have a sad, hard life. We like to say we're a smile-creation company. But no one is smiling if they're not making money." Orange Leaf, a self-serve frozen-yogurt concept, has been able to thrive in a crowded market because its unit economics are some of the best in the biz. Their labor costs are less than 20 percent of revenue, and they offer a slate of different formats that lets franchisees place their units in a variety of locations, from strip malls to airports to college campuses. This franchise, which sells professional-grade tools primarily to automotive shops, was able to get its start during the recent recession because its lower-cost, mobile format appealed to franchisees unable to get traditional loans. With its rapid expansion, Mac Tools is now taking on established competitors like Snap-on and Matco Tools. by appealing to consumers who fall somewhere between wanting to work out on their own and wanting (but perhaps not being able to afford) the benefit of working with a personal trainer. Filling that niche, and focusing on converting mom-and-pop gyms, has helped this franchise grow over the past few years. This is a lower-cost alternative to the more established Paul Davis Restoration franchise, which can cost up to $300,000 to open. The slimmed-down Emergency Services concept can be opened for roughly $40,000, allowing many more candidates to get into the booming niche of fire- and water-damage restoration services. Fuzzy's is capitalizing on the old college trifecta: cheap food, cold beer, late hours. But what differentiates this franchise from its college-town competition is that in addition to being a late-night hangout, it also serves breakfast and lunch.